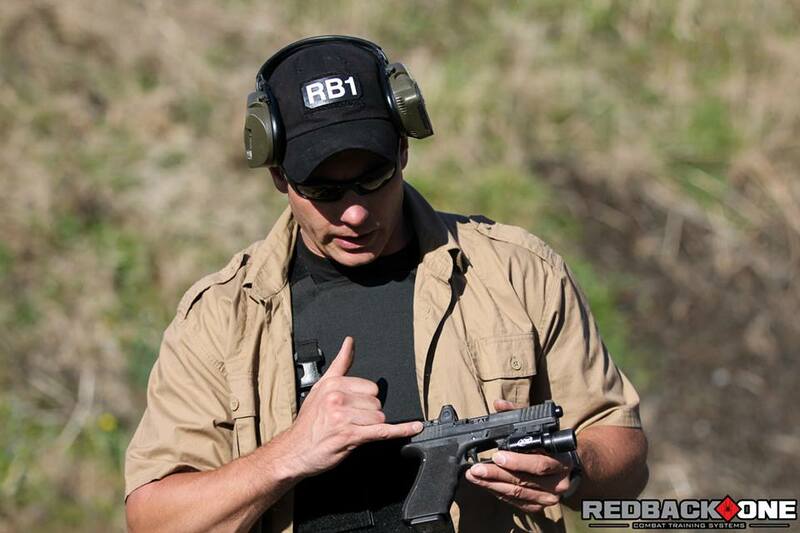 Jason Falla: Pistol Mounted RDS for Duty & Service Use...is this the future? 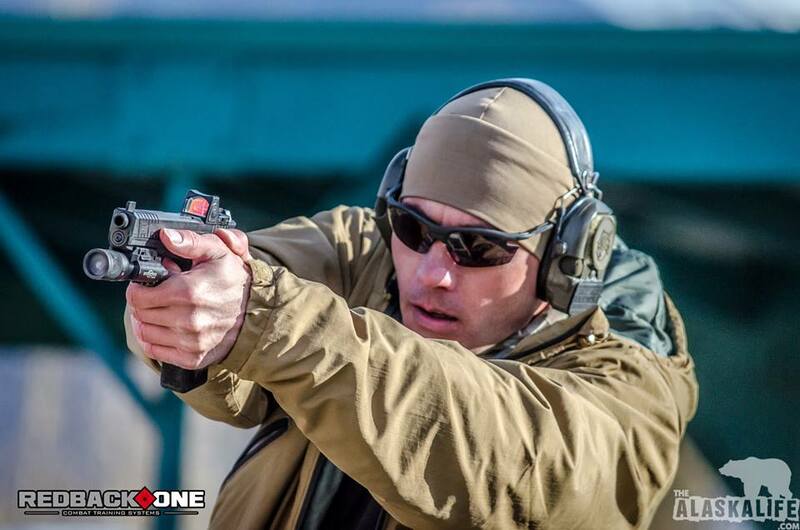 Red dots sights on pistols is by no means an innovation in the shooting industry, they have been around for over 20 years and had been used primarily in the competition world to enhance sight acquisition when shooting stages. I first used a service pistol fitted with an Aimpoint 16 years ago and saw a U.S service pistol fitted with a Doctor Optic in Kandahar, Afghanistan in 2001. There are many benefits to running a pistol with an MRDS fitted to it such as; fast sight acquisition, night vision shooting, long range shooting and stoppage clearances. However, there are many drawbacks also that savvy end users will be aware of and those that aren't need to be. Obvious arguments include battery life, electronic failures, cracked or broken glass, fogging of the lens with extreme temperature variations as well as zero-shift particularly when replacing batteries. Other less obvious issues that military end users need to deal with are robustness, will the sight still work with thousands of rounds put through the gun and is the unit waterproof and can it be submersed to the Mil standard depth of 66ft. There are many pro MRDS users within the commercial space that advocate them as duty or service ready primary sighting systems, but are they really duty or service ready? Is this the future? Someone recently made the comment that “the same arguments we make today about pistols fitted with RDS are the same arguments that had been used against rifles mounted with RDS around 20 years ago”. This to some degree is true, however a pistol is not a rifle and a rifle is not a pistol and that’s where the similarity ends. The same problems that can plague a rifle mounted red dot sight are the same ones that can plague pistol mounted MRDS also. But is the reverse true? I served my county in special operations for longer than a decade and deployed on missions that have included Jungle Operations, Water Operations and Desert Operations. While operating in the jungles of East Timor, I personally had to remove my Aimpoint from my rifle due to the heavy rain and intense fogging which was not isolated to the rifle optics but NVG’s as well, regardless of the use of anti-fog applications. Anti Fog is not a fix all by any means and will solve a fogging issue short term but there will always be times where environments and time will trump some of the best preparation. During those times, I was forced to revert back to iron sights by day and use lasers at night for targeting. I have witnessed dust storms in the deserts of Iraq that have lasted for three days and even times when it rained mud! These are the extremes of war that require the ability to have options with your optics and in field maintenance sessions to manage the serviceability of weapons and equipment. I have had to use a substandard sighting system during counter terrorist diving and water operations missions that could effect performance because better optics were not waterproof to the required standards. Because of this diverse area of operations and the nature of special operations, sighting systems for military application need to be scalable and redundant in order to allow operators to perform their missions with success. On the other hand when it comes to domestic counter terrorism and land based assaults, operators can take advantage of a variety of weapons and equipment that excel in that environment that would otherwise cease to function in harsher environments such as subsurface approaches, over the beach infiltrations or even during mountain and arctic warfare missions. Some RDS have a tinted, anti-glare lens coating that reduces the amount of light that passes through the lens and creates complications when firing directly into the sun particularly at low light and when firing into shadows while looking towards the sun. This problem is not a dot intensity issue, and one that can be solved by turning down the brightness controls; it is a lens clarity problem. Historically RDS had not been submersable due to their open system design but more modern variations are submersible and waterproof but some not to military standards of 66ft. The loss of continuity of the red dot during recoil management is a well-documented one and even very experienced end users including myself have experienced the dot leaving the field of view due to the recoil angle of the pistol. This is not theory it is fact. The dot is not viewable during recoil due to the RDS being mounted to the rear of the slide and is disappears with only the slightest change in angle of the wrists. This means that the dot must be reacquired every time the weapon is fired. If there is any inconsistency in grip or positioning of the weapon, such as weapons manipulations, the dot will be even more difficult to reacquire. When using iron sights, the front sight does not leave the field of view at all during recoil and due to the position of the front sight on the front of the slide, it does not drop below the LOS at all, unlike the RDS which is mounted to the rear of gun and moves low and under the LOS. The front sight is always in view and is easier to reacquire. This is a well known problem with pistol mounted RDS and is negated in the competition world by using hand loaded ammunition with a low power factor. This is more of an issue when using +P and military ammunition or calibers that generate more recoil than others such as .40cal handguns. These complications are unique and isolated to pistol mounted RDS because the optic is mounted to the reciprocating surface. These issues are not the same problems that rifle mounted RDS suffer from and can’t be solved by saying rhetoric like ‘these are the same arguments that have been made against red dot sights on rifles 20 years ago’ because rifles optics are not mounted to moving parts. 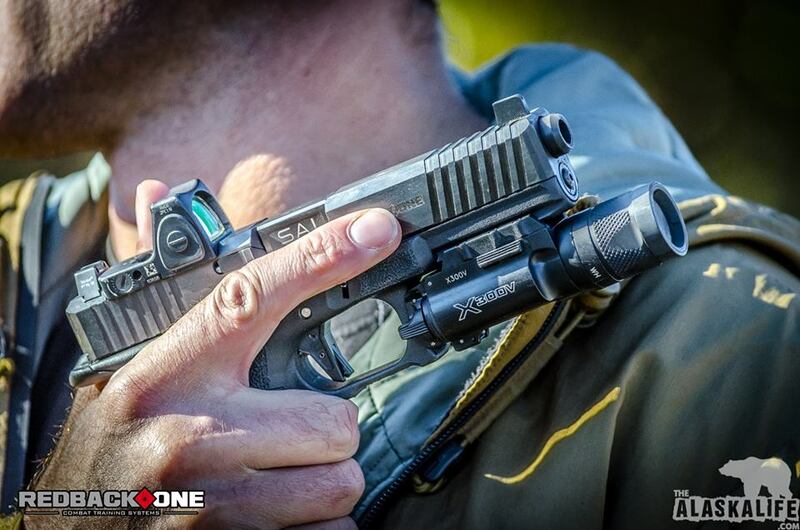 There are competition mounts on the market that been around for a long time and the newest version of those is the Geisslle ALG ‘6-second’ mount which attached to the frame of the handgun like similar versions. Due to the need to reduce the profile of the mount and reduce the mechanical offset, the mount prevents the use of the irons sights that reduces the redundant ability to have an alternate sighting system should the optic fail. The fact that the mount can’t be removed quickly places it into the niche category as well. The ALG mount was developed for specific end users with specific requirements and interestingly enough was the same requirements that I had while serving on the counter terrorist team back in Australia. 17-years ago we solved that same problem by using a pistol with an Aimpoint mounted on it in much the same way as the ALG does today. Mounts like the ALG does address some of the issues mentioned above regarding muzzle flip and lose of dot during recoil by mounting the optic mid gun which maintains the same angle of incidence but reduces the distance traveled as it is mounted closer to the pivot point. In addition to these points, there is also a mechanical offset issue that must be overcome with raising the Point Of Aim (POA) over the LIne Of Bore (LOB), this can be zeroed out but can still presents a problem that good iron sights don’t have. While serving in my Unit, I had the unique role of moving between domestic counter terrorism duties and off shore hostage rescue and war fighting. Special Operations units such as ours require access to a wide variety of weapons and equipment in order to solve unique problems. Whether it is a reduction in time, increase in accuracy, reduction in weight, increase in performance, reduction in size, increase in functionality, we are always testing and evaluating, looking for positives and negatives before we accept something into service. We also understood very quickly that there were limitations with weapons and equipment that were developed for the domestic CT role that did not perform to the required standard during war roles and consequently, additional weapons and equipment were needed in order to meet those needs. There are definite advantages to having RDS on service pistols but for the most part are relegated to niche roles and applications. Unfortunately due to liability gaps in learning and training as well as some fundamental flaws to overcome, we will continue to see them being incorporated into specialist roles and advanced shooting but their inherent shortfalls will prevent them from being utilized as a primary sighting system for all personnel at all levels in the short term. The future is indeed here and yet has been here for nearly 20 years! The same problems exist today as they did 20 years ago. well done, a lot good points. loosing the dot during recoil annoyes me the most so I don't jump on the pistol red dot train yet. Nice and useful information about pistol shooting. I really liked it. 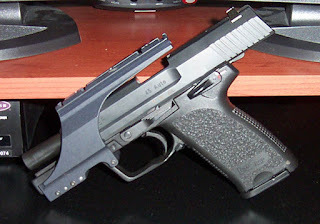 This is an informative blog by which I have got that info which I really wanted to get pistol service . I found this site looking through the web about Zoomtargets.